Ordering from us is as easy as ABC. You just need to place an order, provide us with detailed information on your assignment and make payment for the order. That is pretty much it. You can relax and get the finished paper right within the deadline you have specified. Here are some details on how we work. A good beginning is half the battle. To place a new order just fill in the order form, be careful choosing correct academic level, type of assignment, deadline and other details. Please be as specific and detailed as possible with assignment instructions. Please be careful providing the writer with correct instructions. Please make sure to provide us with valid contact information, it is very important as in some cases we will need to contact you to ensure that you receive the best paper possible. As our company provides prepaid services, according to our policy, the writer starts working on your assignment after payment for the order is completed. Date of payment is also considered a starting point for count of deadline that you have specified for your order. >We use Paypal as a platform for all payments. If you familiar with Paypal customer protection policy, it is enough to say that it is 100% safe to use our service. 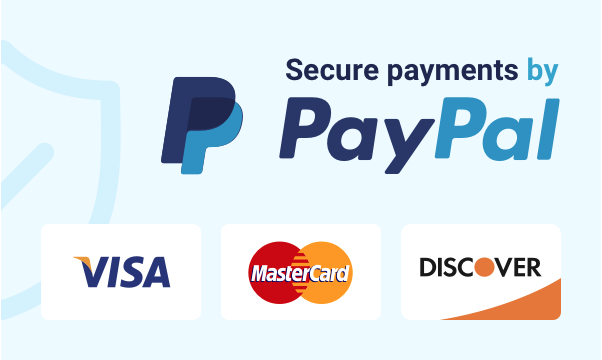 By default we accept payments with Paypal or debit/credit card, but you can use any other payment method if you wish so. Please contact our Customer Support team to receive instructions on other types of payment that we accept. If currency of your bank account is different from USD, it is not a problem – currency of transfer will automatically convert into USD. After you finalize the order by making payment for it, we will assign the writer whose qualifications fit the most. It usually takes 2-3 hours after the order is placed. In rare cases, when the assignment needs deep analysis and a set of consultations between the specialists, the writer can be assigned within 24 hours after the order is placed. Each of our writers has a unique ID number. If you wish that your new order is fulfilled by the same writer who wrote a previous paper for you, you can request to assign a preferred writer. We will not charge you any extra if you wish to assign a preferred writer, but please note that it may happen that your preferred writer is unable to take the order at the moment, in this case we will assign another great writer for your order. While the writer works on your paper, you will receive email notifications on current status and percentage of completion of your order. After the paper is finished you will receive an email with instructions on how to download the paper and a download link. After placing a new order you will receive order confirmation email to the address that you have mentioned when placing the order. You will also receive other notifications form us that will inform you on your order status updates, assigned writer, percentage of completion of your order or notification that your order is ready with instructions how to download a finished paper. It is a basic explanation of how our service works, if you have any questions related to services or products that we provide, please contact our Customer Support team for detailed information. and we`ll do the rest! RelaxEssay your best custom paper writing! To get started, simply provide the details and place an order!